In the summer of 2000, Dan Cummings was like any other 19-year old and went out to the lake with his friends. What seemed like a harmless dive off the boat, ended up being the one moment that would change the course of his entire life. When Dan didn’t come back out of the water, his friends knew something was wrong and went to pull him out. The next thing Dan remembered is not being able to move or feel his legs and asking his friends to call 911. After battling between life and death for days with a collapsed lung and pneumonia, doctors were able to save his life, but also gave him the devastating news that he would be a C-6 quadriplegic for his entire life – at the age of 19, he would never be able to walk again. However, Dan was never one to take no for an answer. Instead of being disheartened Dan made a promise to himself: that he would do everything in his power to learn how to walk again and prove everyone wrong. For the first three years following his injury, Dan not only attended physical therapy sessions but had a personal trainer, used an electrical stimulation bike and even went to the local YMCA in Quincy. But after years of grueling therapy, Dan knew that something wasn’t right. 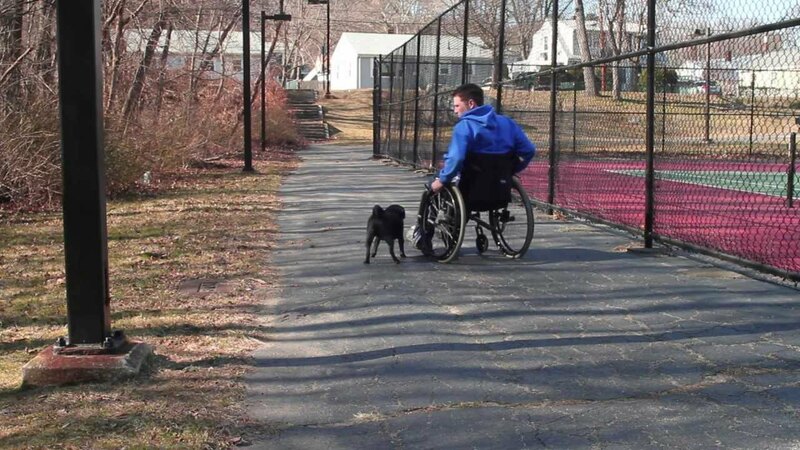 Although well-meaning, it became clear that his physical therapists were teaching him how to live in a wheelchair, instead of how to get out of one. While searching for more answers, in September 2002 Dan heard about a completely different approach that was being taken in Southern California – paraplegics were being told there was hope for them to walk again. Curious to learn more, Dan went firsthand to visit the Project Walk center in San Diego; it was the moment he saw a paraplegic on a spin bike inside the center that he knew he was in the right place. By the fall of 2003, Dan had left everything behind to move to California and teach himself how to walk again. Enter activity-based therapy. Traditionally, paralysis rehabilitation has always focused on compensation – teaching someone how to live with the condition at hand. However, recent research and patient success stories have flipped this theory on its head. In 2007 Dan completed his time at Project Walk; it has been four years since he had rolled in on a wheelchair to Project Walk, and by the time he left he found himself on his feet and walking himself out. Motivated and empowered by his own journey, Dan set out to establish his own therapy center on the East coast in 2008, so that other people just like him wouldn’t have to uproot their lives and move to California. Today Dan employs a staff of highly trained neuro-exercise specialists, with rigorous programs that include: neural stimulation, load bearing, vibration training, gait training, and functional electronic stimulation. As a testament to the approach that both the Project Walk and Journey Forward Center took, in 2010 Dan undertook the biggest challenge of his life – walking one mile for the first time in ten years, with the city of Boston right by his side in order to raise $100,000 to help others. In speaking to Dan, his one hope today is to send out a message of hope to others who are paralyzed and point them in the right direction to his center,or other similar centers like Project Walk that saved his life. Can Cannabis Lead to Psychosis?